Brad Cecchi started his career in Sacramento when he was 16 years old, washing dishes and making pizzas at the Embassy Suites Hotel. Through opening the hotel and restaurant, he learned a work ethic that turned into an obsession and career. As a graduate of the Culinary Arts program at American River College and later at the Culinary Institute of America, Hyde Park, Brad learned the classical ways of cooking and returned to Sacramento with his fine-tuned skills and a passion for Northern California’s farmers, ranchers, artisans and vintners. His first job returning to his home town was opening Mulvaney’s B&L with Patrick Mulvaney who was an inspiration and a mentor to Brad. 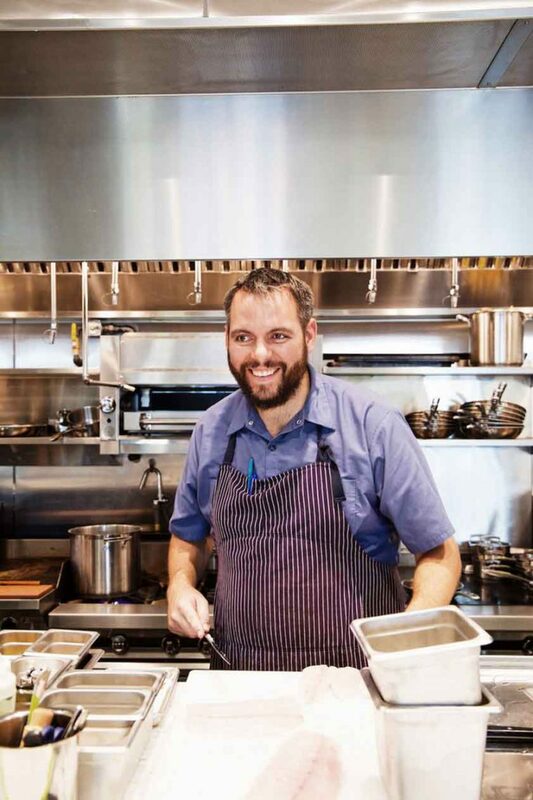 Over the next few years he worked at some of the best restaurants in the Sacramento area and eventually landed at The Citizen Hotel and Grange where over the next six years he served as chef de cuisine under Michael Tuohy and Oliver Ridgway. Grange gave him the experience and freedom to express his style and create a presence in the industry. Leaving Grange was bittersweet, but, in order to grow he packed up his family, and joined former Grange general manager Troy Christian in opening Urban Farmer and the Westin Downtown Cleveland, Brad as its executive chef and Troy the general manager. This 200 seat farm to table steakhouse, 484 room hotel, and $15 million food and beverage sales project is his biggest project to date and gave him the tools needed to go to the next challenge, a Michelin Starred restaurant in Napa Valley. As the Chef de Cuisine and later Executive Chef of the Solbar in the 88 room, luxury hotel resort, Solage Calistoga, Solbar was able to maintain its Michelin Star not once but twice in 2016 and 2017. While at Solbar he was able to use ingredients from his hometown of Sacramento, like Passmore Ranch Caviar and Capay Organics produce, to showcase his style and sense of home to visitors of Napa Valley.